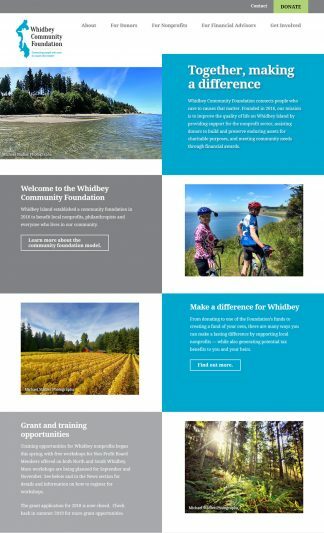 Whidbey Community Foundation, founded in 2016, is a grantmaking public charity that supports Whidbey Island nonprofit organizations through philanthropy, training and capacity building. More than 750 community foundations operate in urban and rural areas in every state in the United States. The new community foundation website, powered by WordPress, allows the organization to easily share fundraising, training and other news. A third-party portal by Community Suite provides additional tools for nonprofit listings and donations.